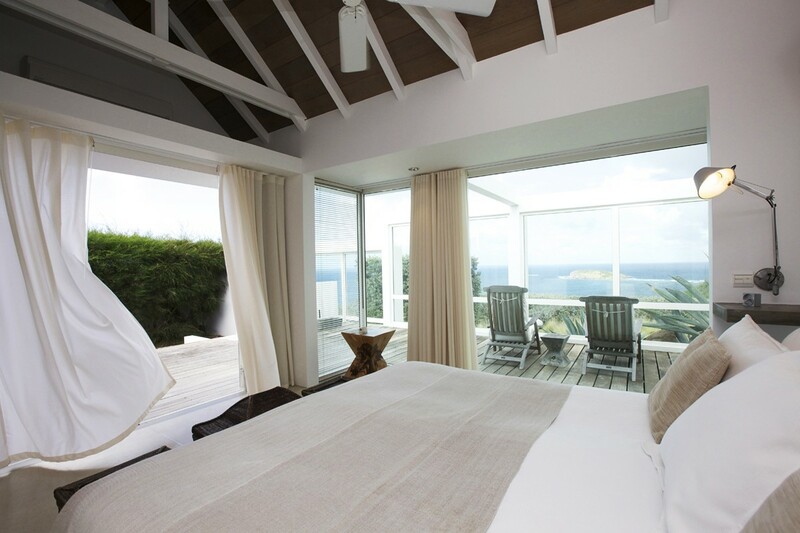 Villa Seaweed St Barts. 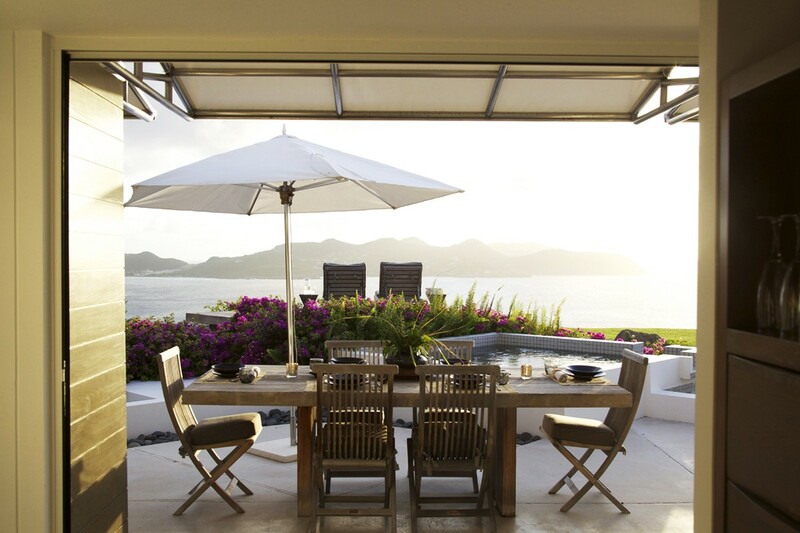 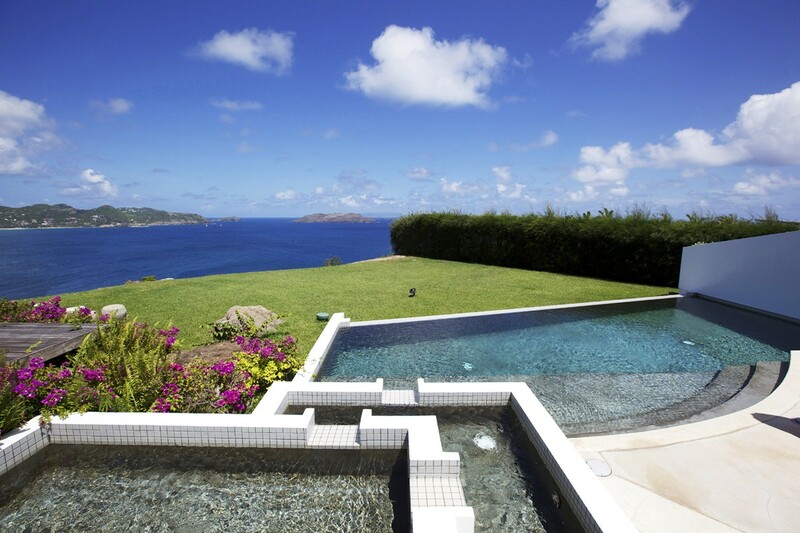 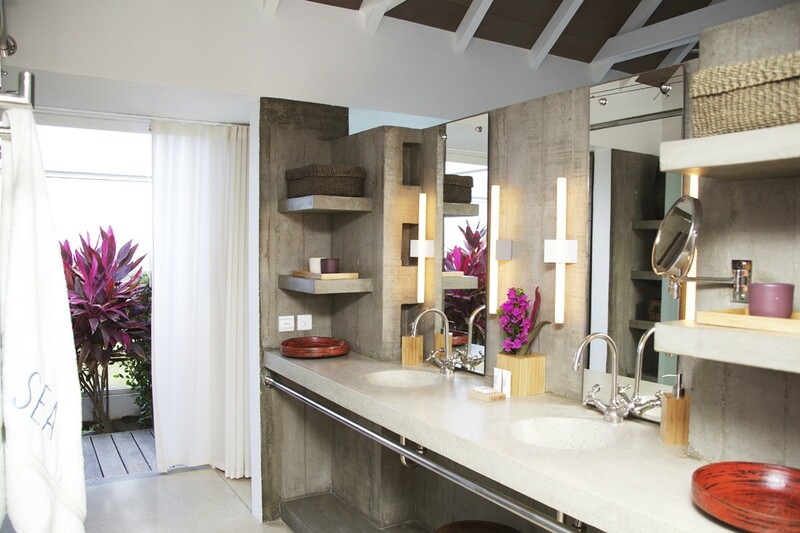 Remarkably elegant, the Villa Seaweed is also poised in one of the most scenic areas of St. Barts. 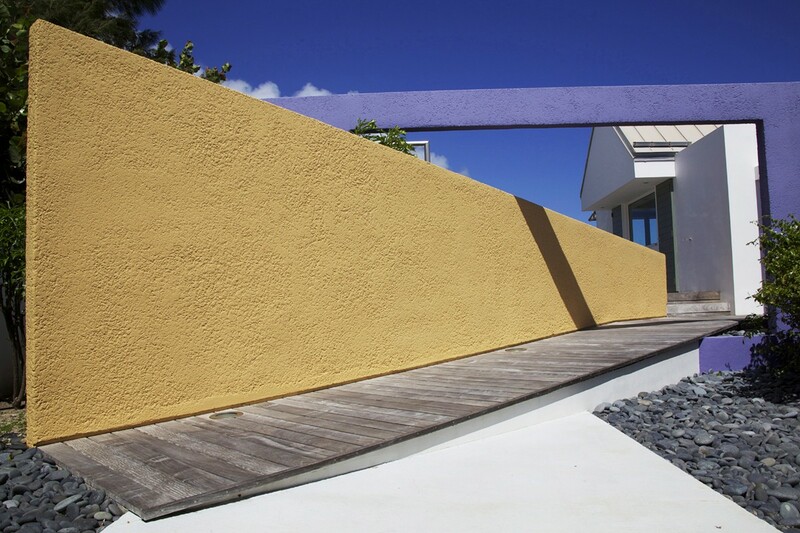 Located in the Pointe Milou area it offers stunning sea views as well as amazing glimpses of Anses Des Cayes, Lorient Bay and St. Jean. 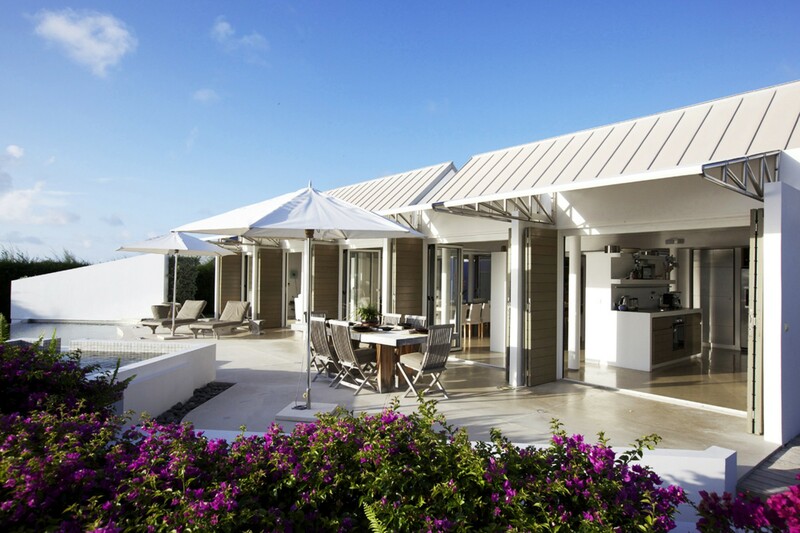 A hilltop villa, it is also surrounded by mature gardens and grounds, offering a level of privacy typically reserved for much larger properties. 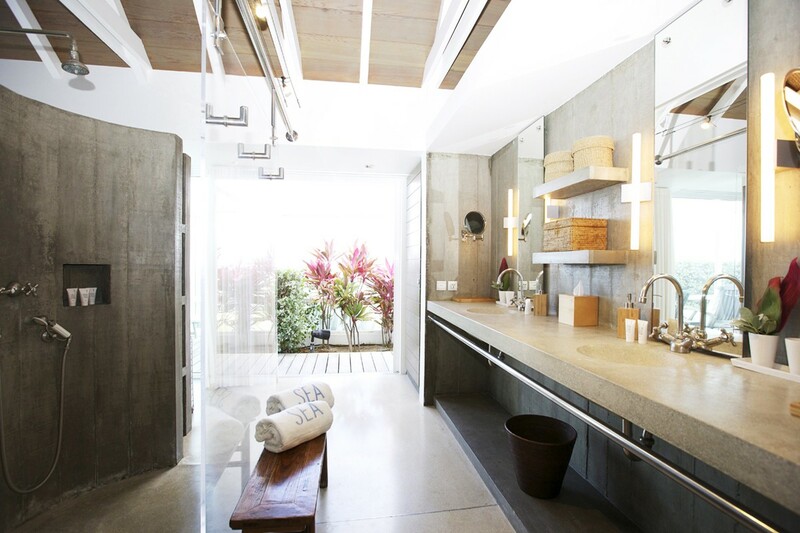 A two-bedroom gem, it features a good assortment of outdoor and indoor, shared and private spaces. 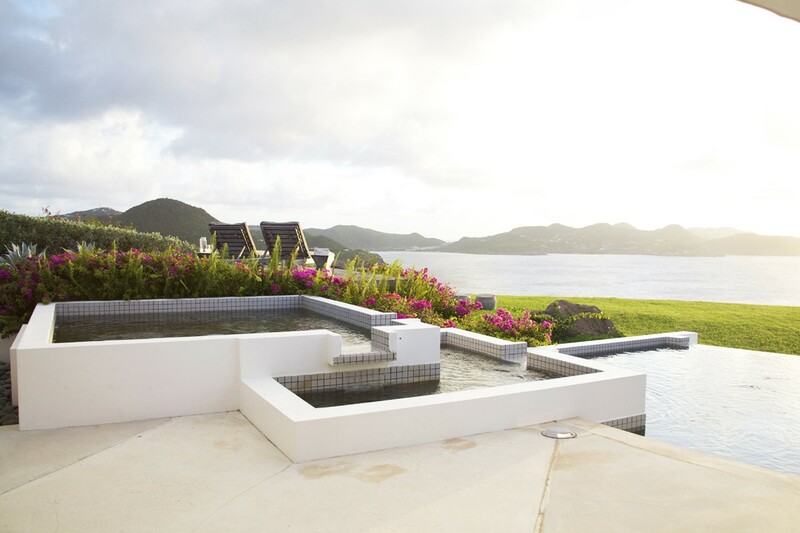 Many visitors find themselves returning to the stunning pool area to take in the amazing views but also to savor the unique design of the pool itself. 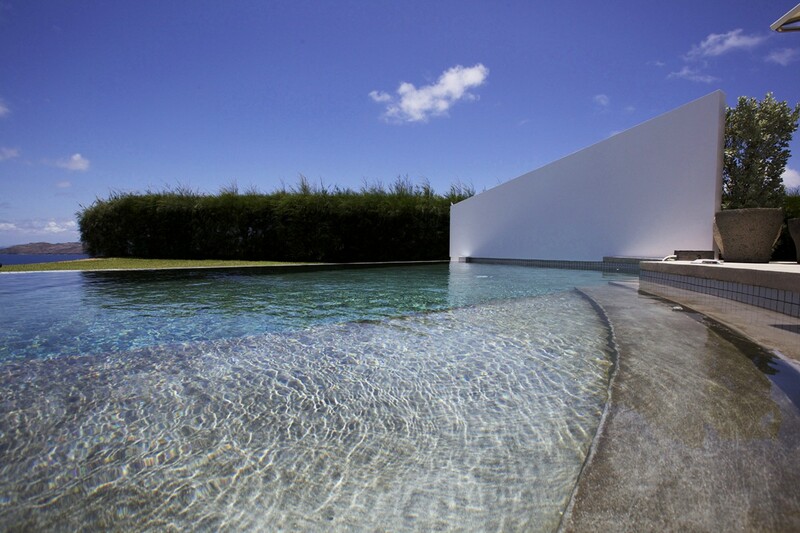 Built in steps it features a plunge pool a shallow wading pool and the lower infinity-edge pool. 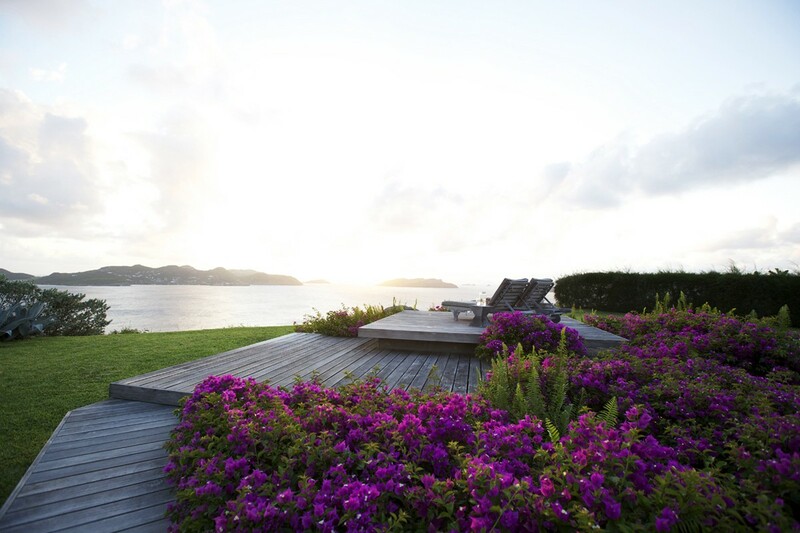 There is also a separate wooden deck with sun beds surrounded by wild flowers. 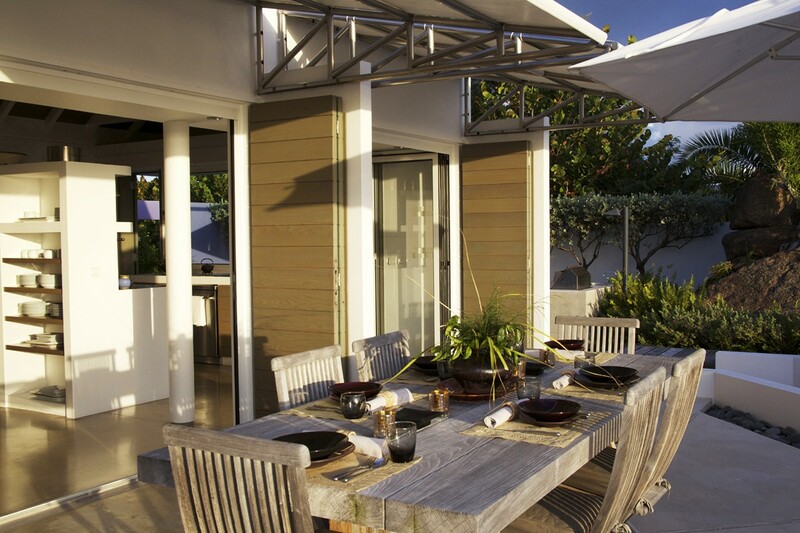 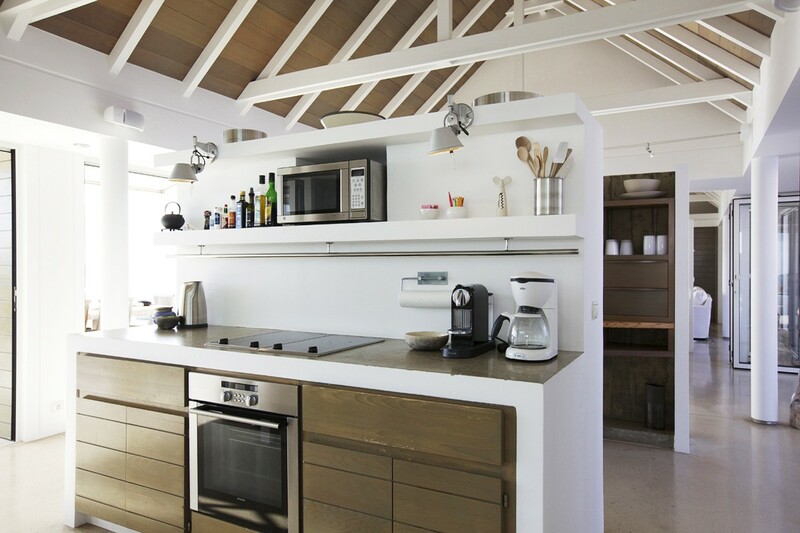 Closer to the villa is another section of terrace with a dining pavilion and full-sized barbecue and outdoor kitchen. 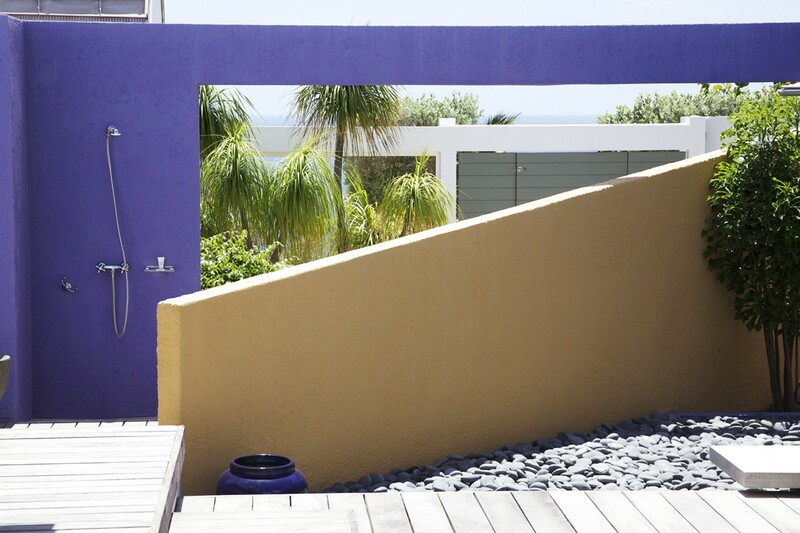 Along the terrace there are entrances into the different areas of the villa as well. 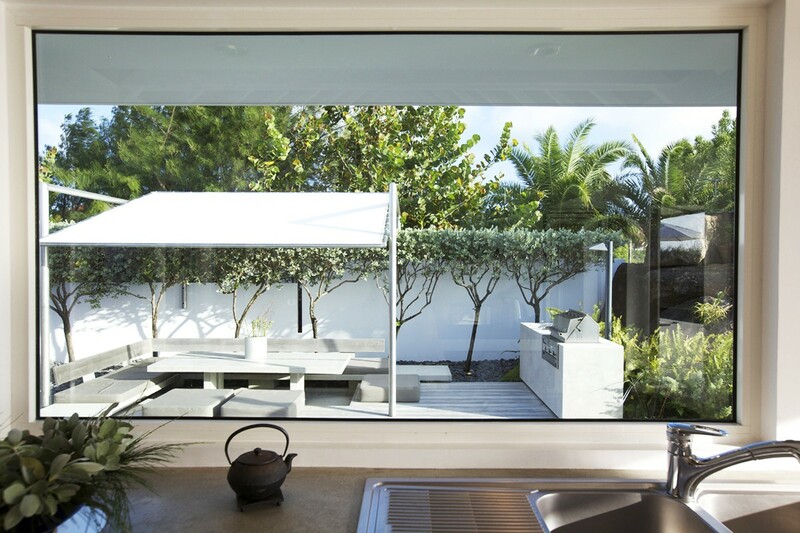 From the al fresco dining area, you can step through to the large gourmet kitchen. 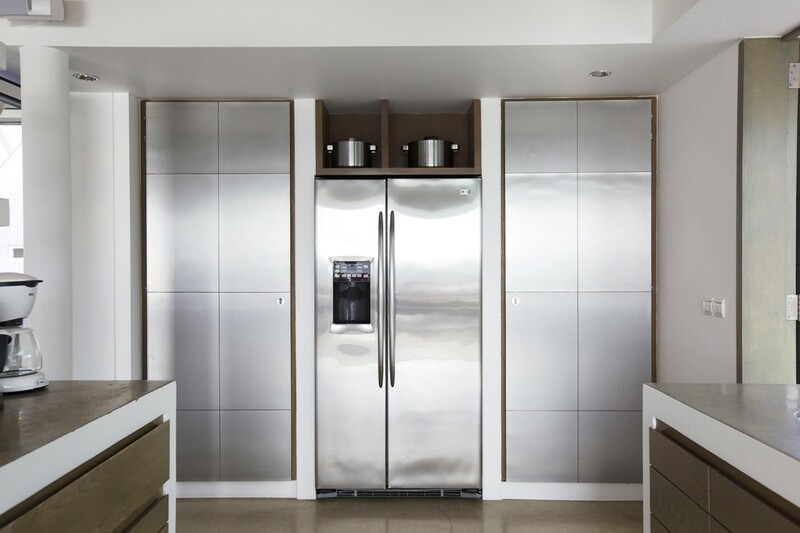 With its premium, stainless appliances and high end gear, it would satisfy even a professional chef. 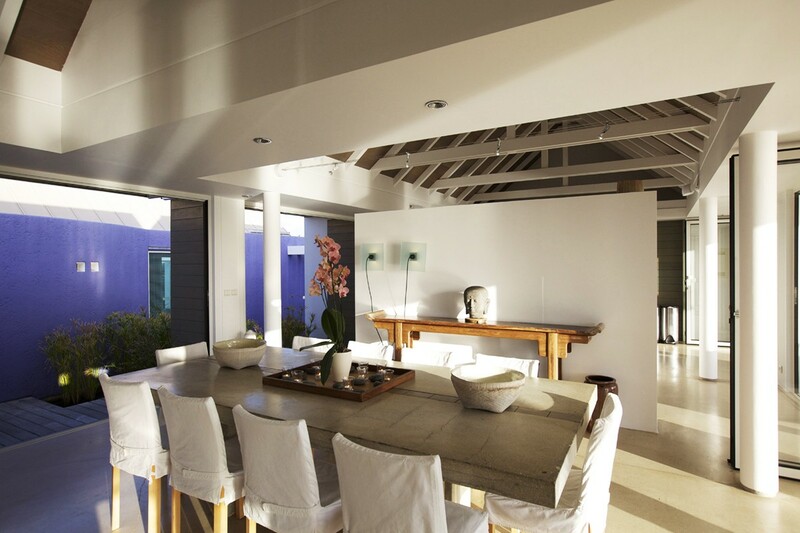 This opens into the stylish dining room with its simple but stunning décor and then through to the large living room. 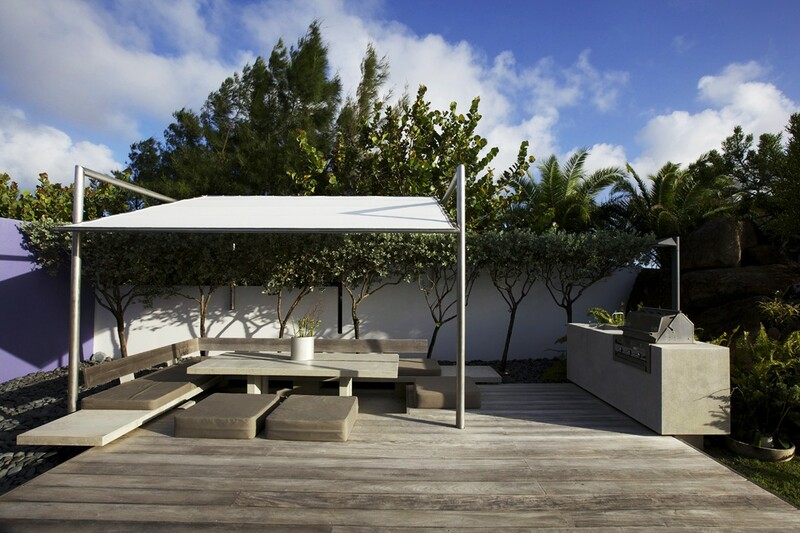 With its pale palette and lovely dimensions, it is also a wonderful spot to gather or simply relax. 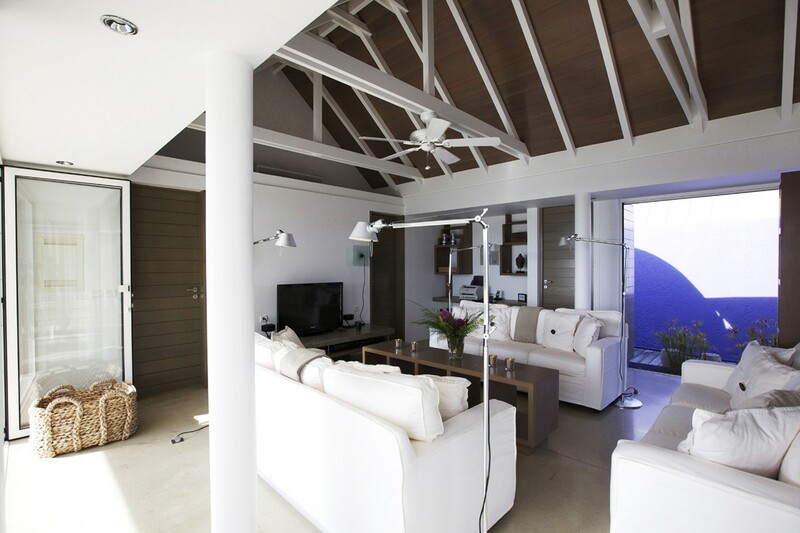 All the shared spaces are open on both sides to the sea views and to the gorgeous rear gardens. 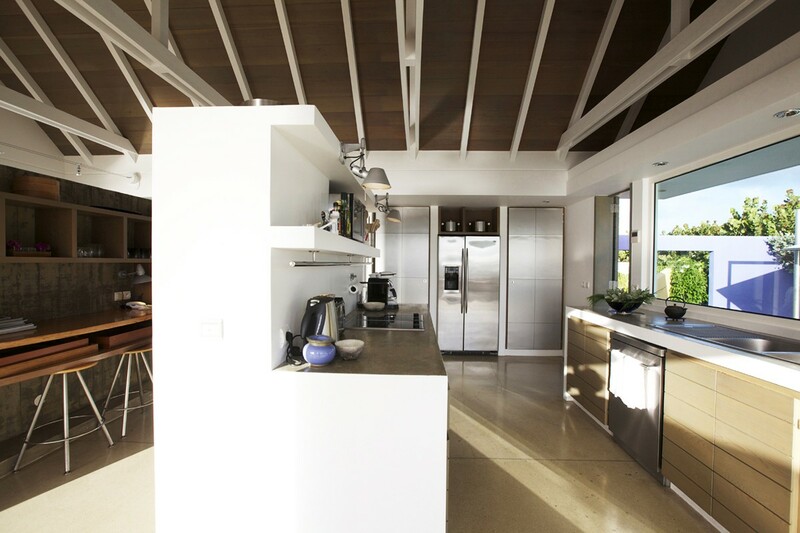 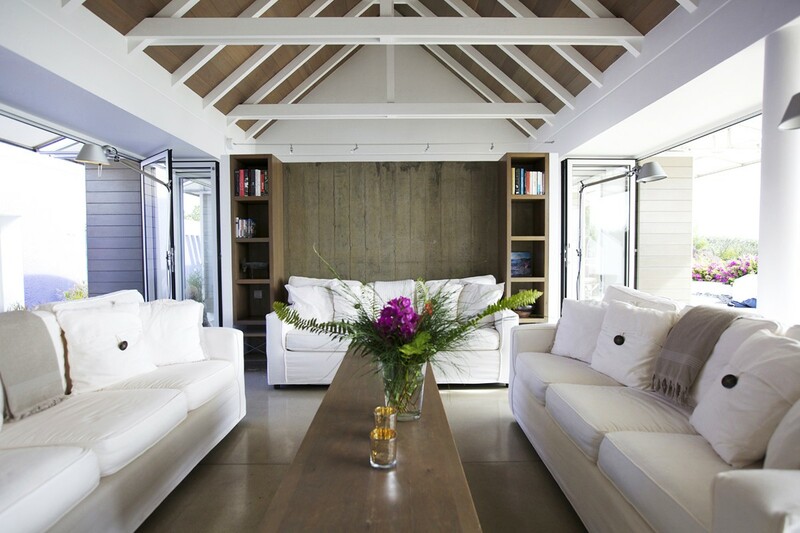 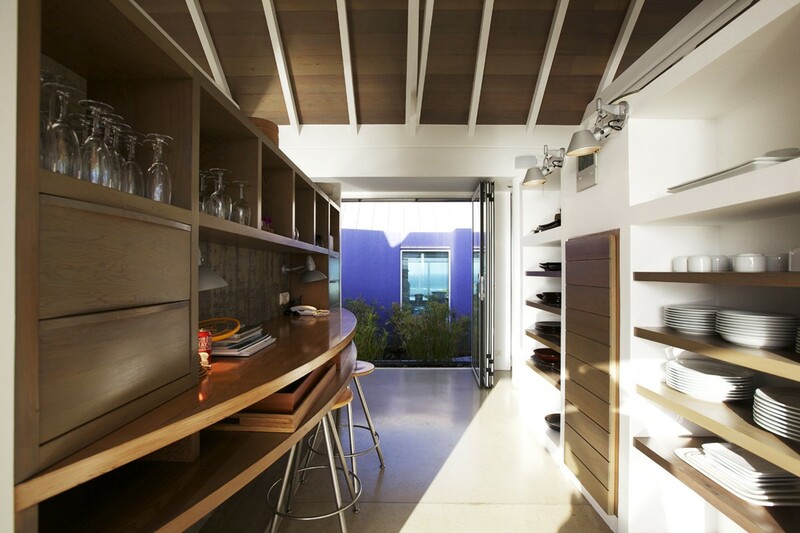 They feature high, open ceilings and easily blur the lines between the interior and exterior spaces. 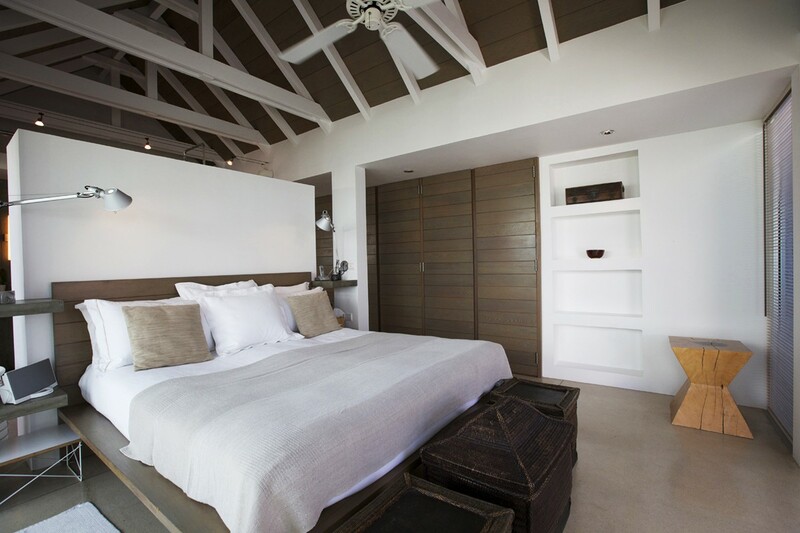 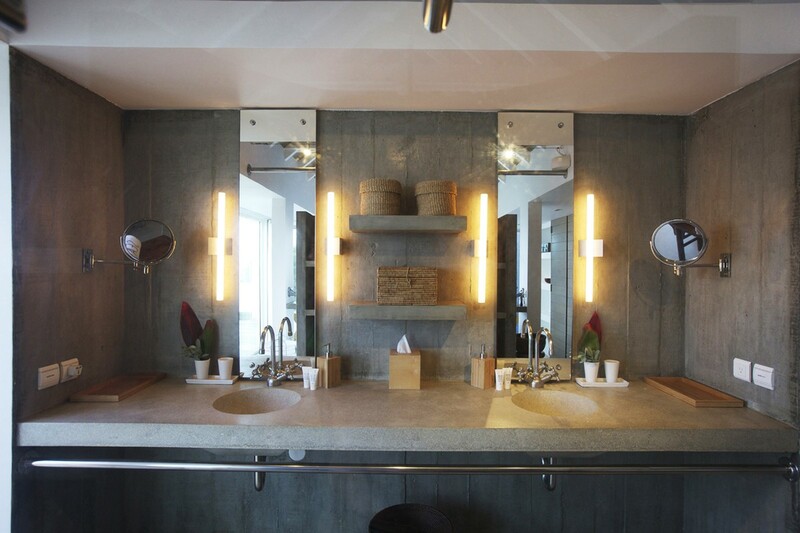 The two bedrooms are similar but also offer tremendous privacy. 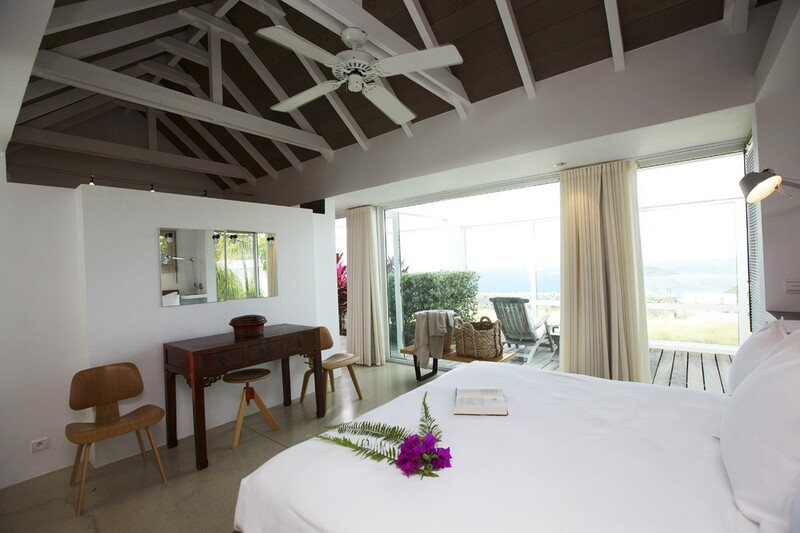 They both feature king beds, large and private baths and amazing terraces offering stunning views. 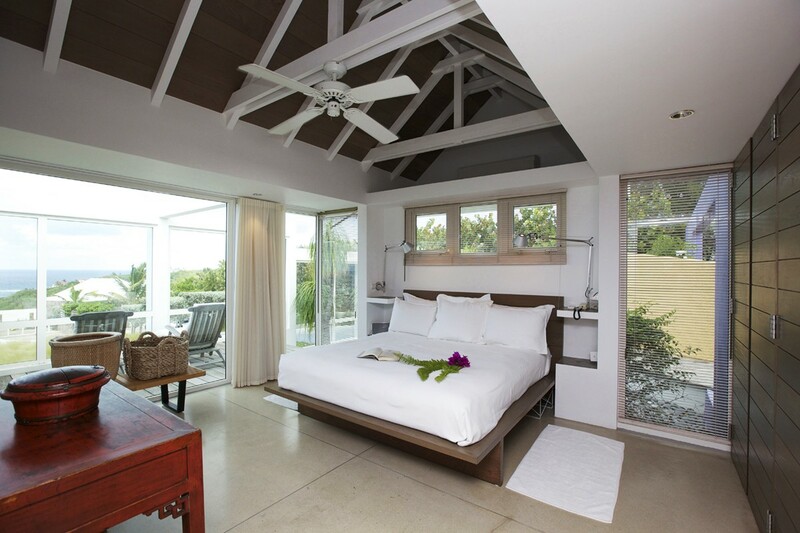 Whether for a romantic holiday or even a honeymoon or a vacation with friends or family, the Villa Seaweed will stun and delight all who visit.